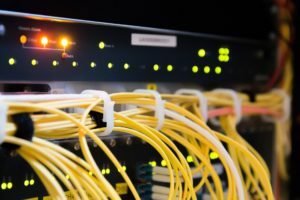 Having a high speed broadband service might seem to be more costly than standard fibre optic options; however, there are many business advantages to having a premium broadband service within your business. The improved speed and better security make handling data much easier and safer for all of your staff and customers, which is a big advantage in itself, but did you think that spending money on your broadband could actually save you money elsewhere? There is nothing more frustrating when you are trying to carry out a task, than when your computer decides to slow right down and take forever to upload a simple document, or to transfer important files over to a client. These kinds of delays can cost your business money, frustrate your staff and annoy your customers. As a business the last thing you want is to have staff sat at the computer waiting for files to transfer, for hours, unable to do anything else. Higher speed broadband can solve all of these inefficiencies, making staff more productive and happier, as well as improving the delivery of service to your customers. Prospective customers will check out your website before deciding to work with you and any kind of delay in your pages loading, or your website working properly, will certainly put them off and lead them to seek out your competitors. High speed broadband will make your website much more reliable, helping to keep those prospective customers interested in working with your business, saving you those lost sales. This might sound like a strange benefit from high speed broadband, however, stress in the workplace is a leading cause for staff having time off sick, which has a negative impact on the workplace and will cost your business. Being frustrated by constantly slow computers, being shouted at by customers who are waiting for their files due to the slow computer system, can all add up to a great deal of unhappiness and stress for your staff. Investing in high speed broadband could avoid all of these problems and create a happier workforce and happier customers ? reducing your sickness bills potentially. VoIP services generally cost a business far less than using traditional phone lines, particularly for larger businesses across multiple sites. Using high speed broadband will mean you can install VoIP services across your business and save money on your phone bills. Investing in a high speed broadband service will save your business money, result in more efficient and effective processes and help to support staff morale and improve customer experience ? it?s a real no-brainer.